The World’s Finest caught up with writer/artist John Trumbull to discuss his recent deep dive into the history of Batman: The Animated Series for the publication Back Issue. Issue #99 of the comic magazine celebrates the 25th anniversary of Batman: The Animated Series, featuring a wealth of interviews, tributes and examinations of the classic cartoon and its massive pop culture impact. 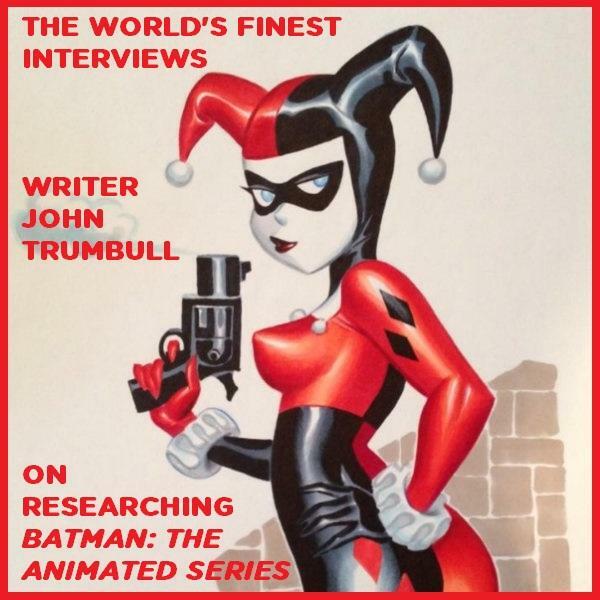 Trumbull breaks how Back Issue #99 came together, his own projects and works, and his connection to Batman: The Animated Series and what working on Back Issue meant to him personally. Click on the image below to read the entire interview. Back Issue #99 is available now through comic shops along with traditional and digital outlets. To order a copy directly from the publisher, head over to TwoMorrows Publishing for more details. Featuring a who’s who line-up of creators, Back Issue! 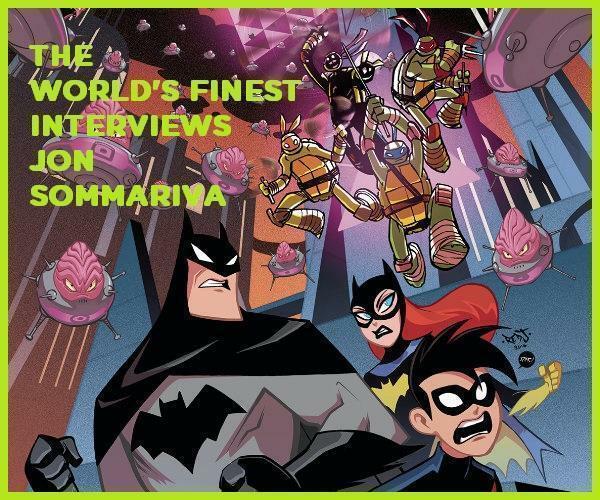 #99 includes a wealth of articles and reports on the classic series, covering a host of topics, a Batman: The Animated Series episode guide, animated Batmobile toys, a Harley Quinn history, a look at DC’s The Batman Adventures and Animated Universe comic books, and much more! For more on Batman: The Animated Series, check out the dedicated subsite right here at The World’s Finest. Stay tuned for further updates and news! The World’s Finest caught up with Young Justice executive producer Greg Weisman to briefly chat about the Warner Archive release of Young Justice: Invasion, a two-disc Blu-ray title collecting the final twenty episodes of the acclaimed animated series. Weisman answered a few quick questions about his involvement in the bonus material slated for the Young Justice: Invasion Blu-ray release, and also talked about his acclaimed book series Rain of the Ghosts. 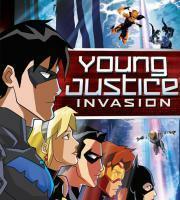 Young Justice: Invasion, now available for pre-order, will be available starting Tuesday, November 18th, 2014 for $24.95US from the Warner Archive. 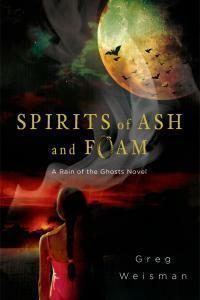 Rain of the Ghosts and Spirits of Ash and Foam: A Rain of the Ghosts Novel are both currently available for purchase from retail and online outlets. The World’s Finest: Young Justice: Invasion is the first Young Justice home video release to feature proper behind-the-scenes bonus content. Is there any prep work that goes into bonus features (the commentaries and featurette) on your part? 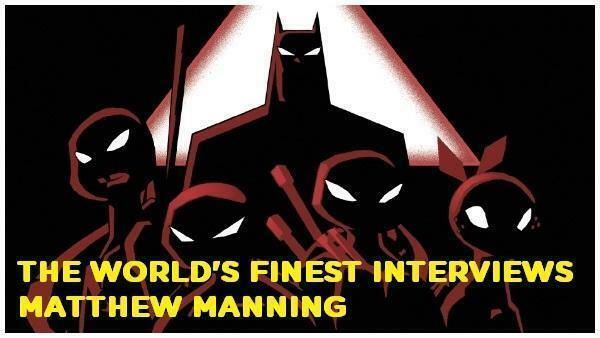 Greg Weisman: Maybe there should be… but no. [Producer] Brandon Vietti and I have pretty decent memories for this kind of thing, and it’s just so much fun to watch the episodes again together and spend some time with great people like [actors] Jason Spisak and Stephanie Lemelin. So we just show up and run with it. WF: Do you pull out notes and information to prepare yourself for both the commentary and the interviews? GW: Not so much. We all have more stories than we could fit into the run time of any commentary. We’re not worried about running low and needing crib sheets. WF: Is it exciting to get to share some of the experience in making this show, and relive it with colleagues? GW: Very. We had such a blast making Young Justice, and so loved the folks we were working with, that getting to revisit the series in any way is a total joy. WF: All 46 episodes are now out on Blu-ray. Does it feel like this kind of closes a chapter for you, that Young Justice is put to bed for the moment? GW: Not at all. Don’t get me wrong, it’s fantastic that the show is available in full now in a format that does it justice (no pun intended), but I think that Brandon and I would both jump at any chance to work with these characters and in this universe again. WF: Did recording extras for the second set somewhat aid in that – getting a chance to put your final words on the property…for now? WF: Outside of your animated work, you’ve been keeping pretty busy with your Rain of the Ghosts book series, with the second installment released earlier this year. With the holiday season upon is, can you tell us why these make some solid gifts ….and particularly who for? GW: Well, I’m biased, of course, as I’m very proud of these two books, but I think both Rain of the Ghosts and Spirits of Ash and Foam would make fantastic gifts. These books deal with some of the same themes and concerns that series like Gargoyles, The Spectacular Spider-Man, W.I.T.C.H. and Young Justice have dealt with. So if you or your friends or family like any of those shows, I really think they’d like these two books. In addition, they are – technically – YA novels, so if you have kids, teens, etc., (girls or boys) who love a great yarn with interesting and diverse characters, then the Rain books could be just the thing. Finally, any student of mythology should find interest in how I’m taking the myths of the pre-Colombian Taíno people and bringing them forward into a modern fantasy/horror/action context. 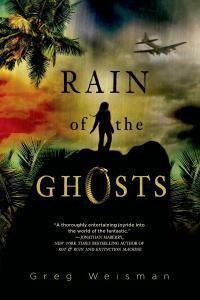 WF: The Rain of the Ghosts book have a pretty wide appeal to them, even outside of the marketed pre-teen/tween group. For those who haven’t tried the books because they think they’re “just” for the younger set, what do you say to them? GW: Again, I always write primarily for myself. It’s the only way I can prove out my passion for a given project. So if you’ve enjoyed my previous work on television or in comics, odds are you and I share a common sensibility. And if so, then you’re sure to enjoy Rain. The characterization, the plotting, the mythology, the backstory, the environment should all work for a younger audience, but I don’t believe in writing down to kids. So there’s plenty of meat on these bones for an older reader to sink her or his teeth into. WF: Do you have any further comments on the new Young Justice: Invasion Blu-ray release, and anything to add about Rain? The Blu-ray and the book sure would make a solid one-two punch for solid entertainment. 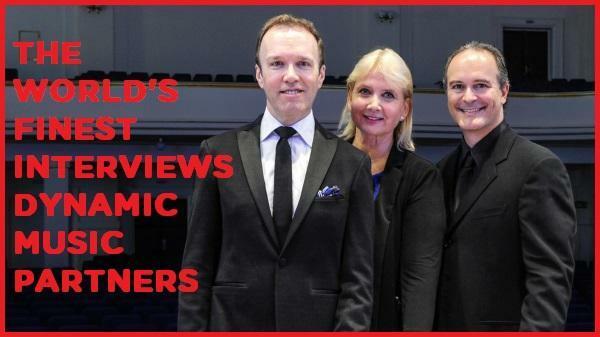 Why are both worth checking out? GW: We’re very proud of Young Justice‘s second season. We told a powerful story, introduced a bunch of new fan favorite characters and took a big step toward adulthood for our Season One cast. Plus each episode is simply jam-packed with content and can easily hold up over repeat viewings. And, of course, I feel the same way about Rain, and am really hoping that more of my Young Justice fans check it out! For further details on Rain of the Ghosts and Spirits of Ash and Foam, including purchase information and readers reviews, please click on the respective artwork below for each title. If you want to see further installments of Rain, please support these titles! Young Justice: Invasion arrives on Blu-ray from Warner Archive Collection, the Warner Bros. Home Entertainment specialty label, and will be available starting November 18th, 2014 for $24.95US from the label. Please note the release then goes wide to all major online outlets starting December 2nd, 2014. The collection is currently up for pre-order through most online retails outlets. Check out the The World’s Finest Young Justice subsite for more information on this fan-favorite series. Stay tuned for additional news and updates right here at The World’s Finest.